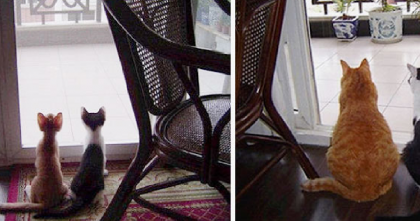 Cat knows what to do when his owner comes in the room… This is TOO CUTE, he’s having a blast!! When this owner comes by the chair, this kitty knows what’s about to happen and jumps up onto the top of the chair… and just in time for a cute little roller coaster ride! 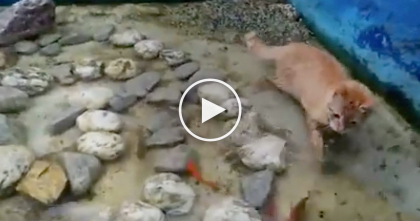 – I’ve never seen a cat enjoy something like this, LOL!! Kitty enjoys it very much unlike just about any other cat I’ve seen who does NOT like to spin, but this cat enjoys every second! What a little cutie… This doesn’t just happen once, but it happens all the time because kitty just loves it! 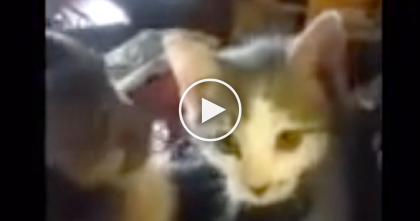 hahaha… You’ve got to see how much fun this kitty is having! Just watch the video! 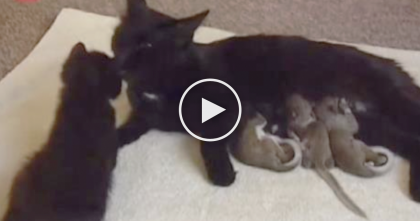 Monkey Discovers Little Kitten For First Time…His Reaction Is Just PRICELESS, Awwww! 17 Pictures Of Cats Who Grew From Kittenhood To Adult Adorableness… #11 Is Just TOO Cute!! Baby squirrels fell out of their nest, but when the cat noticed… This story is AMAZING! 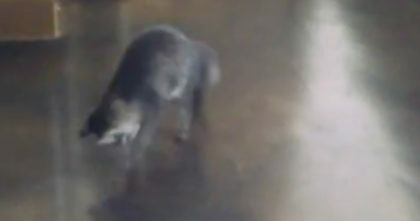 Watch this kitten’s reaction when he sees a tiny hole in the floor… Now I can’t stop laughing! !